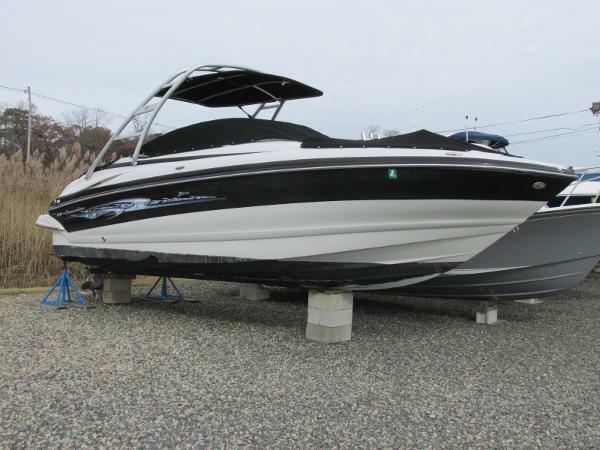 This boat is absolute eye candy with power and performance to match. This is the perfect boat for Lake of the Woods. She is a 26 foot bow rider capable of hauling the entire weekends's visitors and gear to your island location or serving as one hell of a cruiser with all the comforts of homeincluding a lower head with toilet, sink and shower and a stowed table which can be set up in front or rear locations Other features of this boat are: New Gelcoat fall of 2018 New tops fall 2018. Including bimini, camper extention and travel tops. 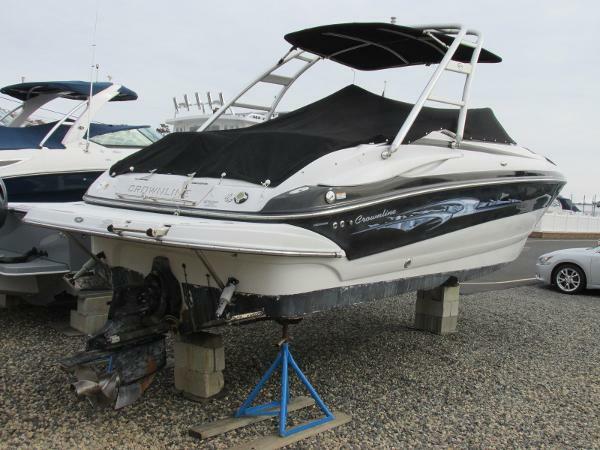 Powerful 496 Mercruiser with Bravo 3 duoprop drive. 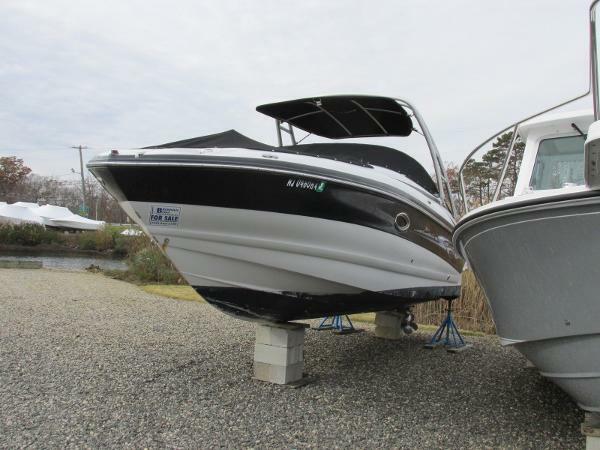 Low LOW hours (210) Powered trim tabs,Dual switchable bateries, automatic fire supression in engine bay, switchable through the hull exhaust, depthfinder, GPS, Tilt Steering, adjustable driver's seat with pull-up bolster, bow and aft swim ladders, snap-in carpet, plenty of storage including ski locker and large self draining ice cooler, cabin courtesy light switchable by remote control and docking headlights. Front bowrider seats are recliner style with adjustable arm rests, rear large 6' sunpad for the girls or camping overnight.